Well it has been a while since I have posted any trip reports and that is because I have been pretty busy the last few months with planning the biggest adventure of my life. 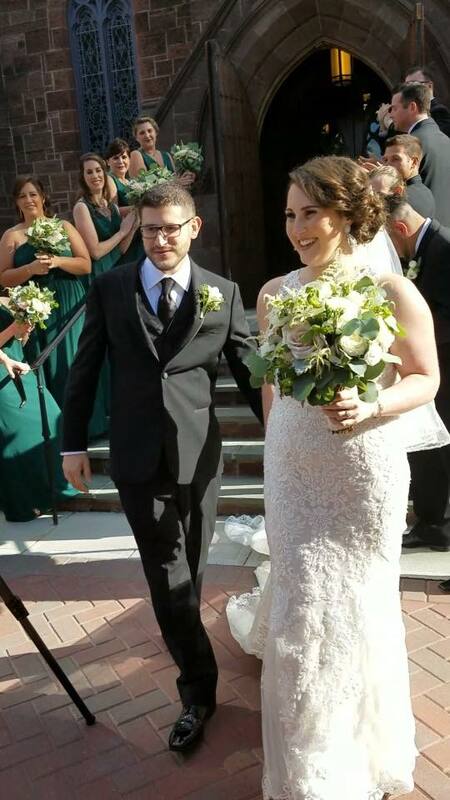 On September 9th I married my best friend and soulmate in what I have unofficially dubbed “Operation Wedding Bells”. It was truly the best day of my life and I couldn’t be any happier. So with everything that has been going on the outdoors adventures were put on the back burner for a little while. One of the unofficial photos from the big day. However, being the people we are, our honeymoon was chock full of awesome outdoor adventures which I will be recounting here over the next couple of weeks! 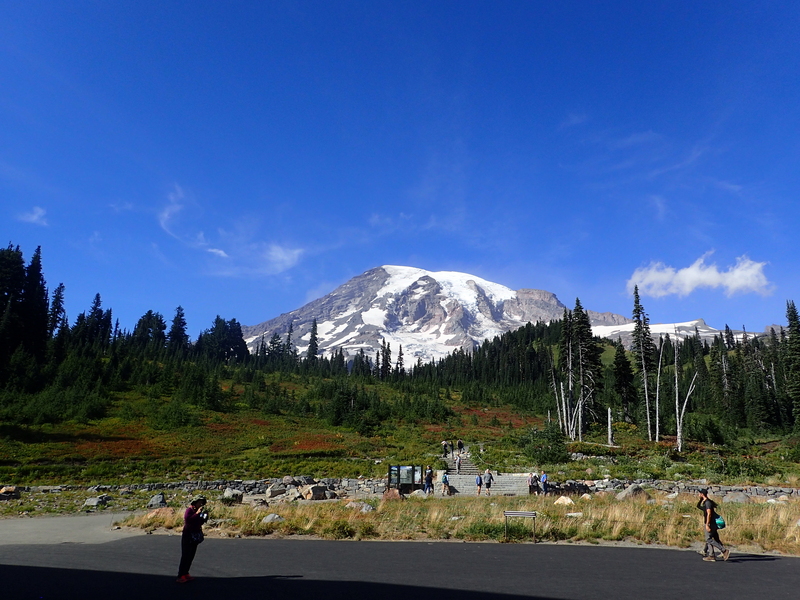 After spending a couple days recovering from the big day we set out for the first stop of our honeymoon which was Seattle Washington and Mount Rainier National Park. We arrived early in the afternoon and after getting our rental car we headed straight for the park. Ultimately our goal was to end up in San Francisco four days later to catch a flight to Hawaii so our time was limited in each location. 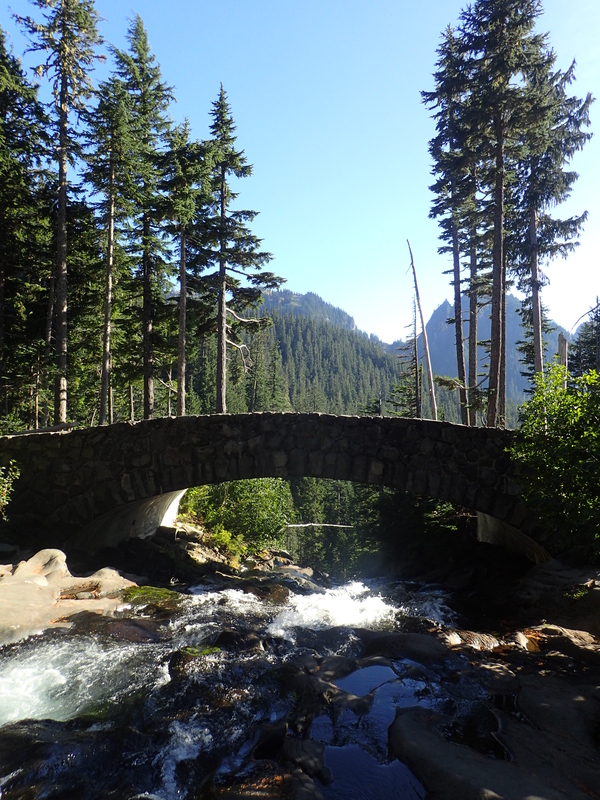 Maybe one of the best parts about Mount Rainier National Park is its close proximity to Seattle. I thought it was really novel to be able to reach such an awesome in less than two hours from a major city. I still think outdoorsy people out west are truly spoiled! The drive was uneventful and before too long we were driving into the park itself. However, I was also struck by the sheer size and prominence of the mountain itself. As you approach the park Mt. Rainier dominates the views in the distance and you really can see it from almost anywhere in the area. 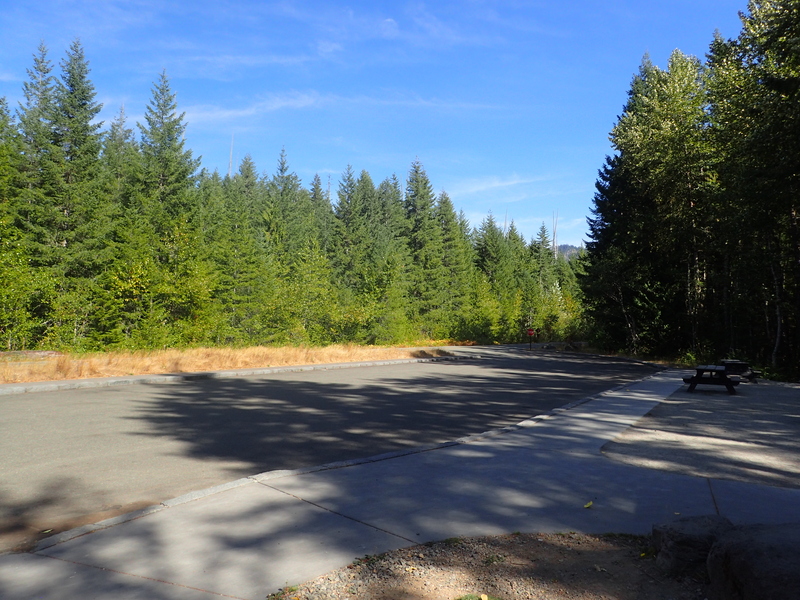 After entering the park we stopped at the very first parking lot we saw for a marked viewpoint. We weren’t sure if this was the best view we might see all day so we wanted to stop for it, but on the rest of the drive up to Paradise there would end up being countless opportunities. View of the parking lot we stopped in. 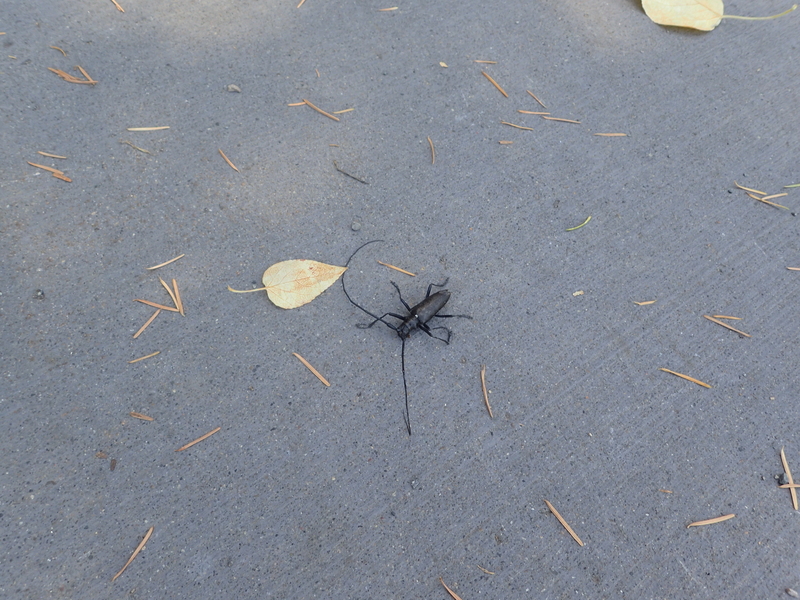 Crazy bug we saw in the parking lot. 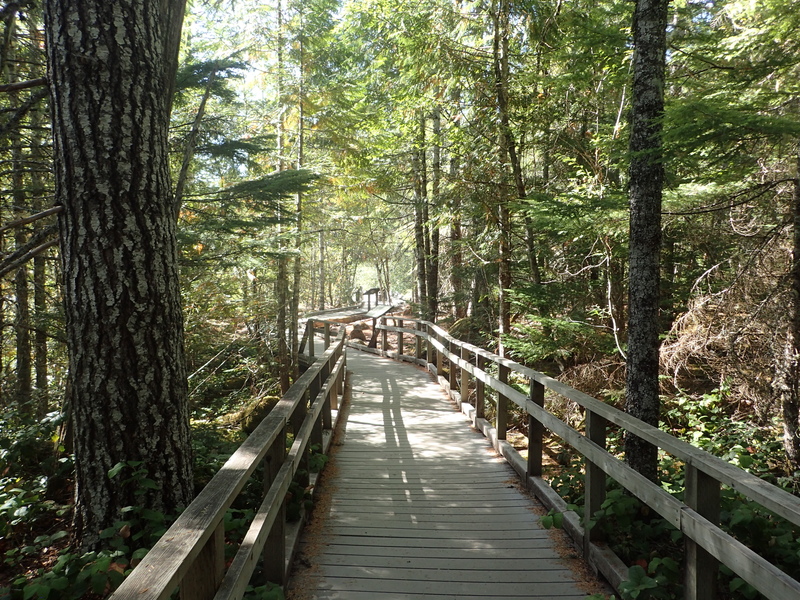 The “hike” in to the viewpoint consisted of just a short wooden boardwalk leading to a small clearing. I don’t know if the park is typically pretty quiet (I imagine its not) but on this particular day it felt quite empty. However, the view was mostly obstructed so it wasn’t fantastic but it was easy to get to so it wasn’t much of a bummer. 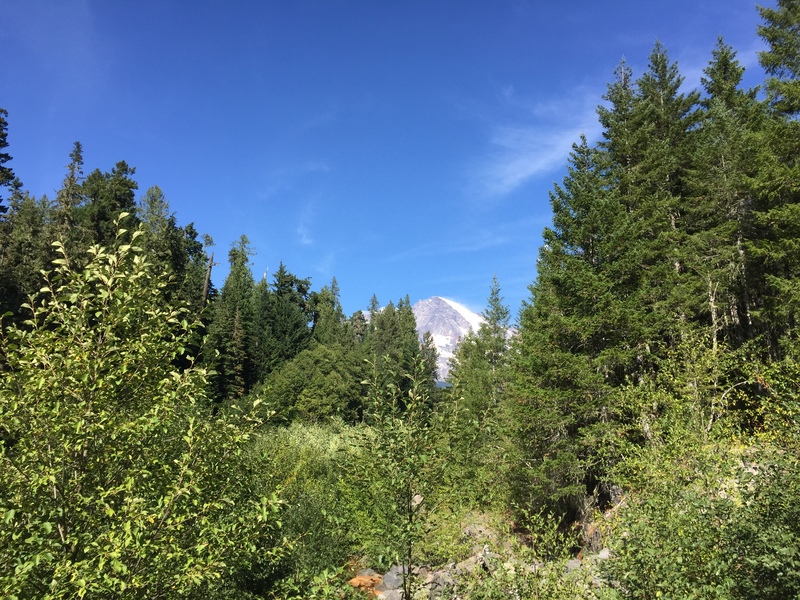 We stayed for a minute to take in the scale of the park but then we hurried back to continue our drive back up to Paradise and the visitor center. View on the drive up. 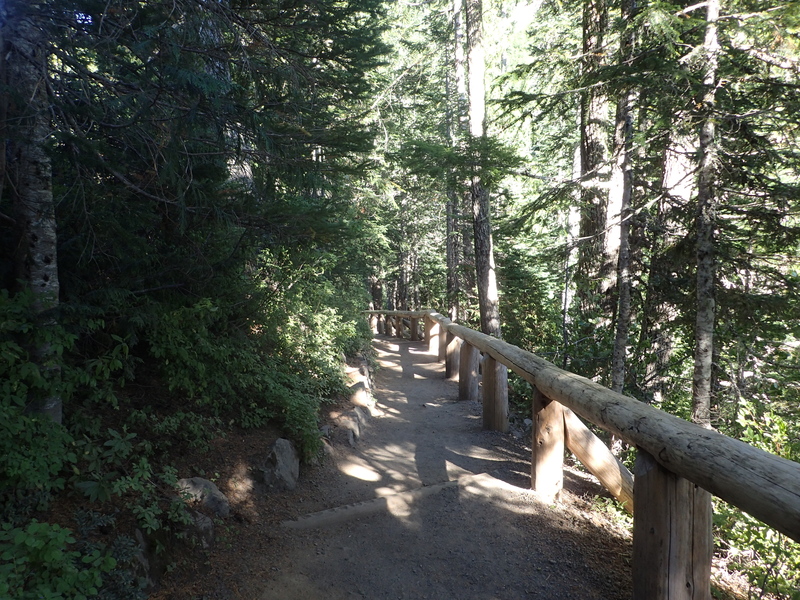 The drive up is pretty pleasant and I think took about 30-40 minutes from the entrance of the park up to Paradise. The views are great the entire way so you really don’t even notice how long your driving. 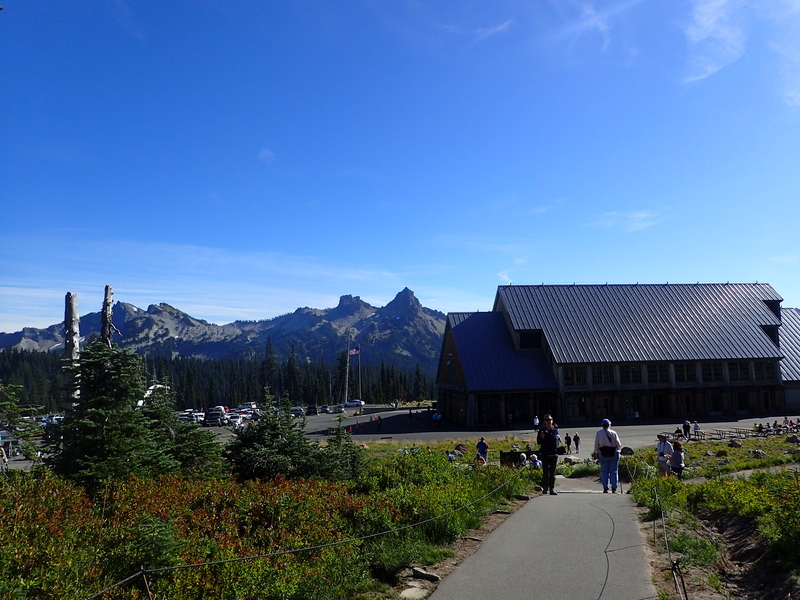 Before too long we reached the end of the road at Paradise which is a large parking area that services the Visitor Center, park facilities, and the gateway to the mountain. According to the NPS, Paradise is famous for its glorious views and wildflower meadows. When James Longmire’s daughter-in-law, Martha, first saw this site, she exclaimed, “Oh, what a paradise!” and that is how it got its name. I have to say I completely agree because this place truly is beautiful, even without leaving the parking lot. View of the mountain from the parking lot. View looking back from the path. Looking out over the fields which would normally contain wild flowers and the mountain beyond. One of my main takeaways from the park was that despite all the photos I have seen over the years they really don’t do this park justice. It is honestly so much bigger and more beautiful than the pictures can truly capture. 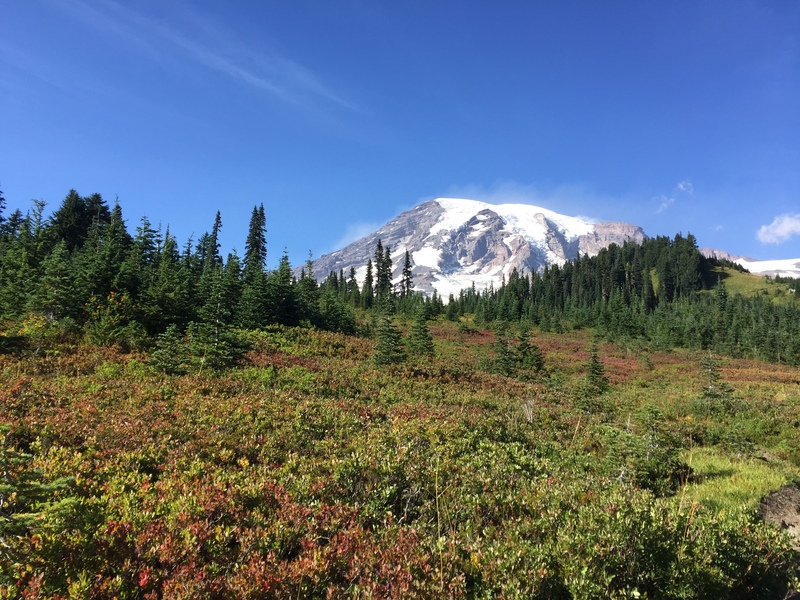 I never thought much about climbing Mt Rainier but after this visit I think I have changed my mind! After spending a while walking around Paradise we decided it was time to get back on the road. 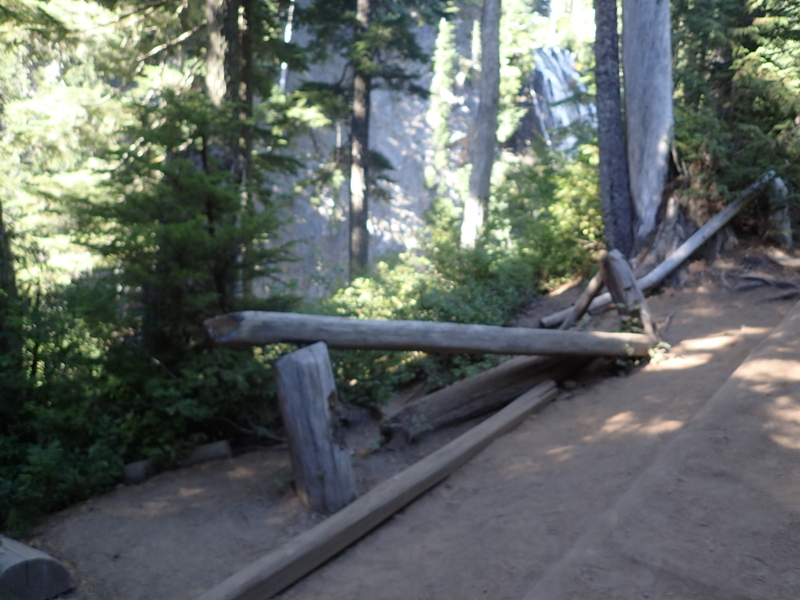 I wish we had more time to do a longer hike in the area but it really wasn’t an option on this trip. 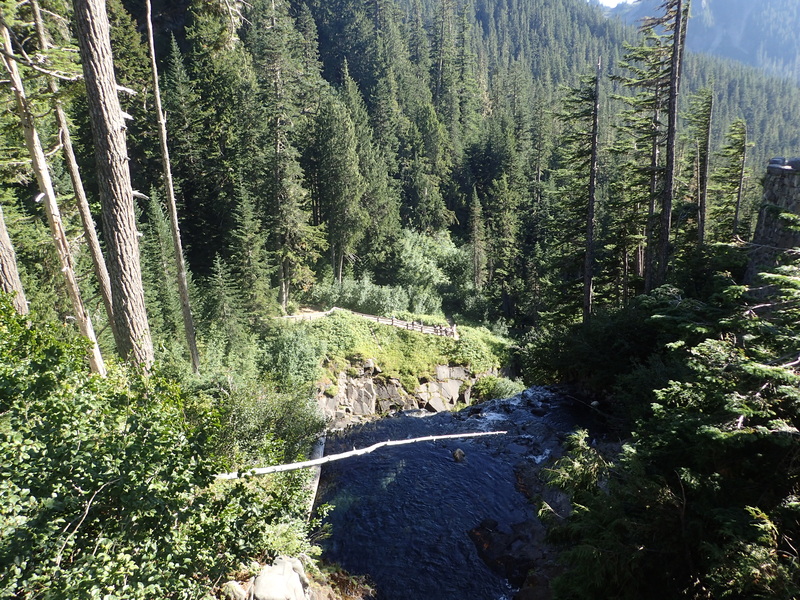 However, on the way back down we stopped at the trailhead for Narada Falls which was a fantastic idea. 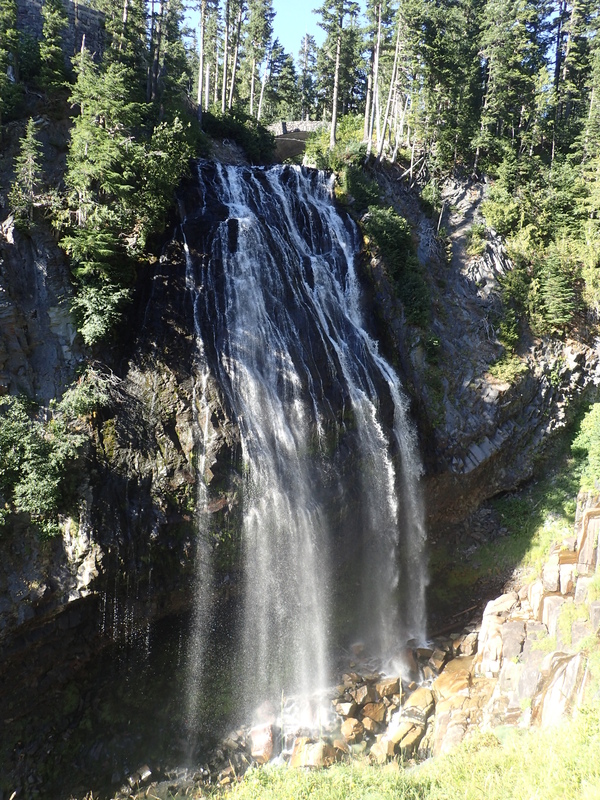 At Narada Falls the Paradise River plunges 168 feet over an old andesite lava flow to the valley floor. 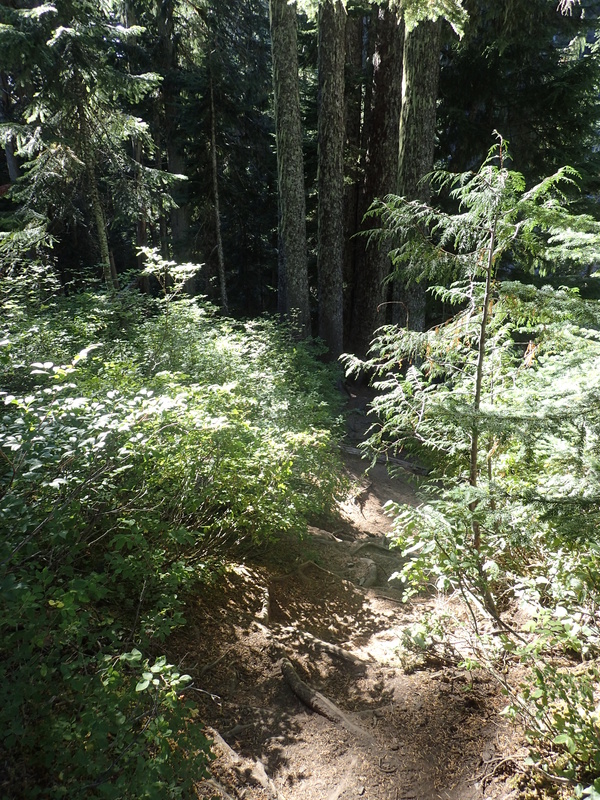 From the trailhead there is a short but steep hike to an overlook and then down to the base of the falls. View of the bridge from near the top of the falls. 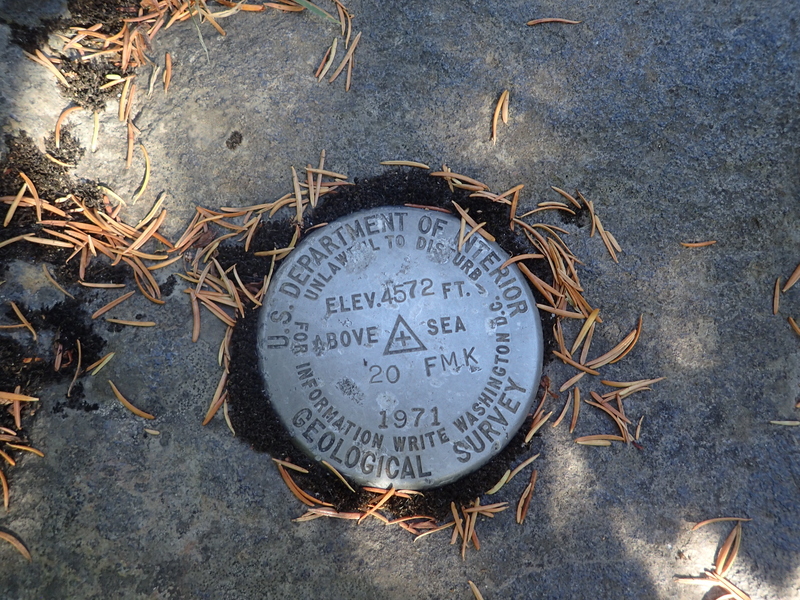 A benchmark I found in the area. Looking down into the deep valley. We made our way down the path which was well worn and obvious to follow. 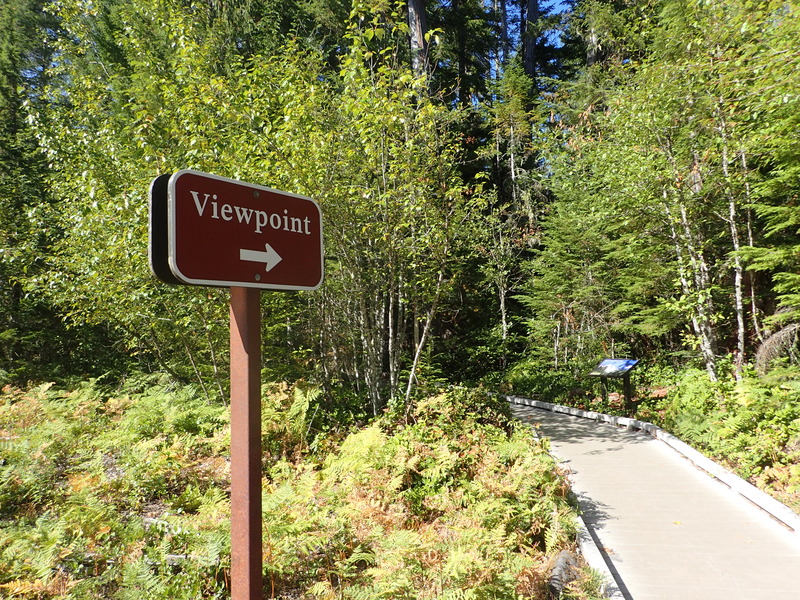 View of the path leading down to the overlook. Before too long we made it to the overlook where we stayed for a little while to admire the waterfall which seemed to be flowing pretty well for late summer. View of the fall in its entirety. After taking in the views from the overlook we continued down the trail to see if there was a way down to the base where we saw some folks milling around. A little further down the trail we saw on the right a small fence blocking the start of a herd path leading down the valley. The herd path was behind this. View of the herd path. We followed the herd path a ways down and were greeted by mostly obstructed but dramatic views of the falls, along with a really magnificent rainbow. 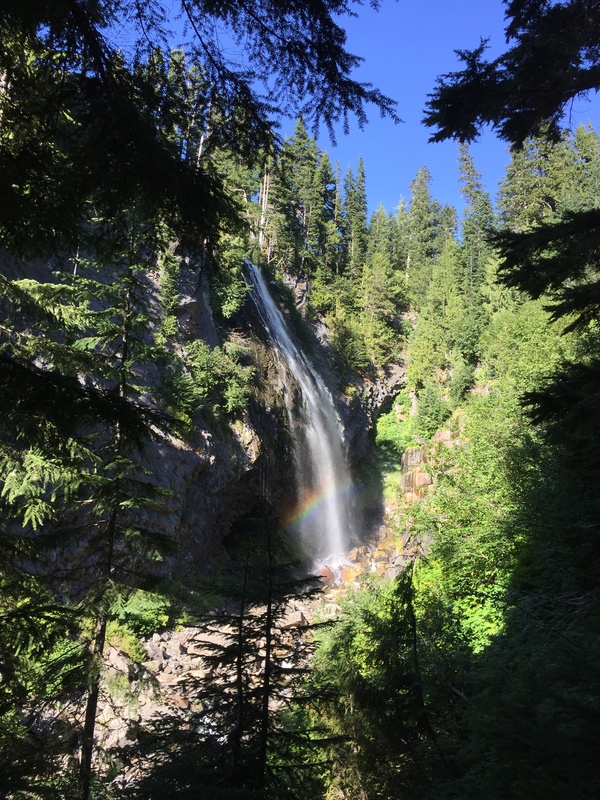 View of the waterfall and rainbow. From here the trail deteriorated pretty dramatically and since we didn’t have any gear or anything at all we decided to just call it quits here and head back up. After getting back to our car we hopped in and set a course for Portland. Originally we had planned to spend a couple of days in the Columbia River Gorge but due to the wildfires that were ravaging the area we had to rework our plans last minute but I think in all we were able to make it work. 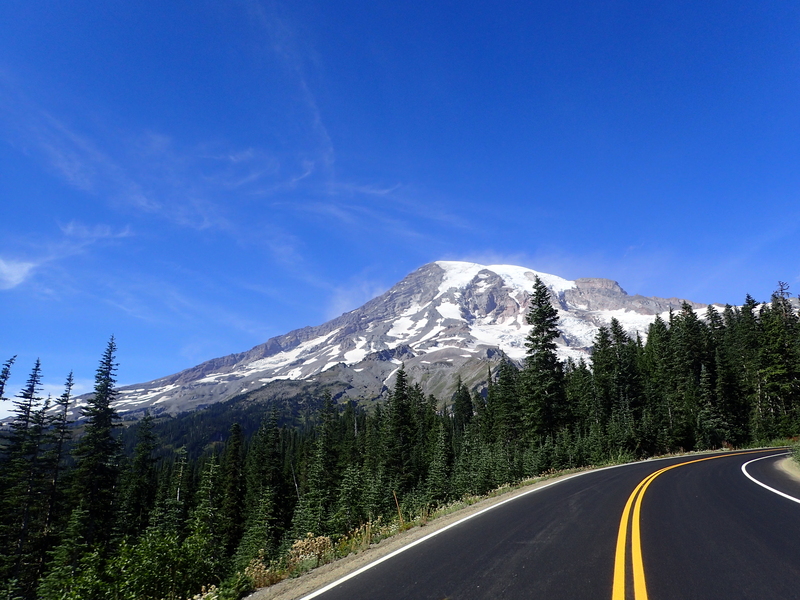 Mount Rainier National Park was pretty amazing and I can’t wait for another opportunity to visit. Although we had very limited time in the park I still felt like we were able to enjoy it and take in a tiny fraction of what it had to offer. I think whether you have an afternoon or a week you could find amazing things to fill your day in this park.